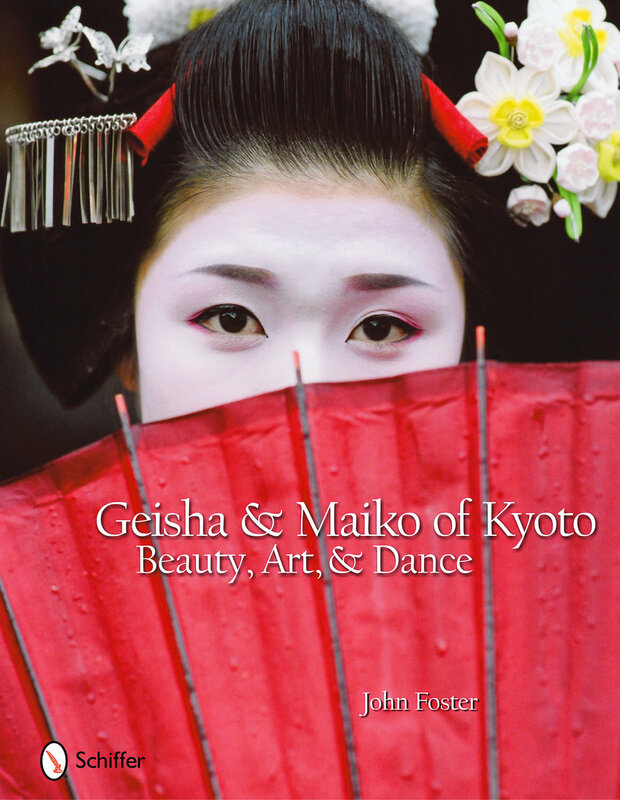 Geisha & Maiko of Kyoto: Beauty, Art, & Dance is an collection of photographs and interviews that focuses on four of Kyoto’s most beautiful geisha and maiko (apprentice geisha). The women were photographed at Kyoto’s largest geisha dance performances and other important dances, including Miyako Odori and Kyo Odori. Next, portrait sessions were held with each to capture the kata (forms or poses) of her favorite dances. The geisha and maiko were then interviewed about their photographs, giving the reader rare insight into their artistic training. The result is a collection of 149 gorgeous photographs that shed light on these elegant entertainers like no other book before.